Coworking is here to stay. It is one example of a new model of blended spaces, resources, and benefits wherein SPACE is a key feature but only one of many. Facilities management and community management are already converging in practice, while the formal professional impacts are still emerging. There is less and less difference between the way that we support the next generation of organizations with SPACE and with other corporate services including human resources. Enriching social environment, soliciting feedback on all elements of space to make the full experience the best possible is a community building and physical design imperative. A close-up from a presentation at IFMA’s Workplace Strategy Summit, held on June 9 and 10 outside of London. Photo by Tom Harnish. Just a few days apart, two summits were held for two different workplace fields that are orbiting one another, but whose orbits are careening closer together quickly. On June 9 and 10, facilities managers and workplace researchers convened at IFMA’s Workplace Strategy Summit, while community managers gathered for the CMX Summit on June 12 and 13. The gap between physical workplace and community is closing quickly, and may be nonexistent within a few years — after all, with work becoming more social, what is a workplace but a space in which to grow, support, and incubate a truly productive community? The community industry is real and it is expanding quickly: In 5 years, every company will have a community manager. Community will be its own department in companies instead of a part of another department like marketing or support. An IFMA Summit panel on coworking featuring Melissa Marsh of Plastarc, Carsten Foertsch of Deskmag, and Dr. Chris Boyko of Lancaster University stressed that the participatory and people-centric lessons to be learned from the success of coworking are here to stay. 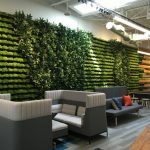 The benefits for many workers of the café model and the increased desire for in-person connection and socialization, along with increased expectations for user experience and visibility, have translated into the impressive rise of curated, exciting, and personal workspaces, managed by people, for people. Facilities management traditionally supports organizations through physical space. Community management supports them through a newer but quickly growing element of social and engaging programming (and often more, depending on the organization). It’s becoming clearer and clearer, as innovations from the coworking model catch on everywhere, that the social-technology-service elements are becoming inextricably linked to each other and to facilities. Established as a field in the early 1970s, owing to the emergence of systems furniture and computers as common office fixtures, facilities management grew out of cutting-edge design and technology developments in the workplace. Today, it is imperative for the field to continue evolving to meet trends. While more young employees are comprising the profession, the average facility manager (as of 2011) is still 49-years-old, and the way occupants want to use and interact with space at work is changing. The gap between physical workplace and community is closing quickly, and may be nonexistent within a few years — after all, with work becoming more social, what is a workplace but a space in which to grow, support, and incubate a truly productive community? Morgan Evans of Etsy stressed the malleability of community and the importance of constant conversation between company culture and community. Richard Millington of Feverbee came back several times to the importance of feedback mechanisms and true relationship building, in his presentation on how to build an addictive community. These and other speakers demonstrated the importance of community to build a successful contemporary brand and organization — the fact that many have established their own presence as community builders in big-name companies like Buzzfeed, Adobe, and Kickstarter, and that others have been able to build consultancies around the concept of community, is a testament to how excited today’s workforce is about belonging to a social hub. Collaborative, communicative, interactive business is no longer about creating value for each person individually. It’s about empowering them to create value for each other.